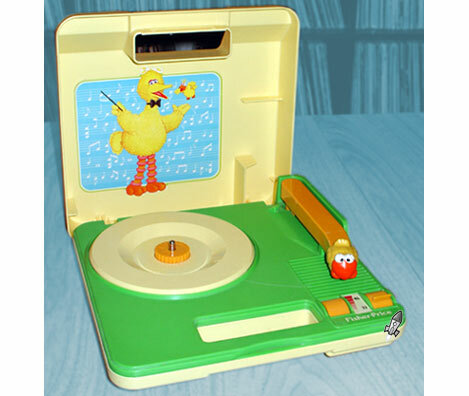 Retro Thing: Portable Cratedigger Record Player - From Sesame Street? 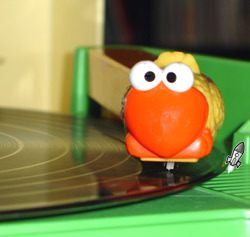 Portable Cratedigger Record Player - From Sesame Street? When you go to a record fair or a thrift store, it would be really great to be able to test out records before you buy. Listening rooms are sadly a thing of the past, so you'll need to roll your own. We've done articles on several affordable portables, but here's one that we overlooked. There were a lot of Sesame Street children's records, so it makes sense that Fisher Price would offer a kid-friendly record player in 1983. 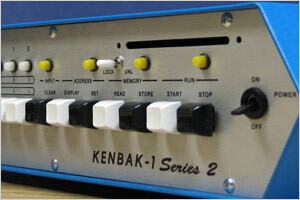 It's simple to operate - fully manual with only a speed selector and volume knob. It's durable since it's designed to be knocked around by children. The inexpensive stylus is still available today, and slots into the birdie tonearm (don't you wish that they'd taken a design cue from the Flintstones and put the stylus right into the bird's beak?). It doesn't sound half bad, and gets pretty loud - it would be nice if it had a headphone jack, but I'm just splitting gigantic yellow feathers here. Most importantly for our purposes, the record player is small and runs on batteries - an excellent way to preview your platters before purchase. 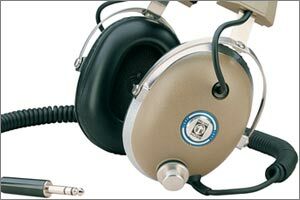 Heck, it might even get a dealer to shave a few dollars off of his prices after seeing your pitiful sound system. Or I guess it could backlash - there are those dealers out there who are too snobby to let you play their precious vinyl on a turntable with Big Bird on it.